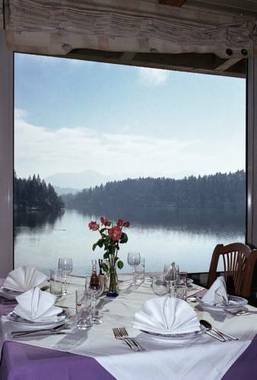 Gostisce Jezero Medvode, Hotel Slovenia. Limited Time Offer! Gostisce Jezero. "Gostisce Jezero" has acquired 3 stars. It is a convenient pied-a-terre from which visitors can explore Medvode. For visitors who appreciate sporting activities, "Gostisce Jezero" offers golf. "Gostisce Jezero" includes a restaurant for your gustatory enjoyment. Staying in touch with the rest of the world is made easy with the free Internet access that is provided.